The paintings in “The Showroom” are not shy. Though (intentionally) different in virtually all aspects – subject, style, scale, and color, every single work has confidence in its own bold statement. “The Showroom” is active and energetic. Each piece pulls together a room, defines personal style, and commands conversations. This is art that will step out of the décor and bring a space to new levels of sophistication. 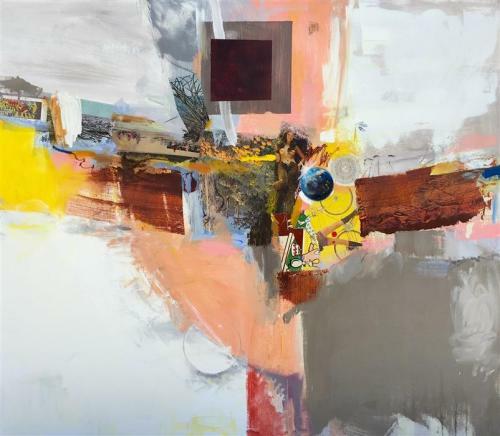 Matthew Dibble’s imagination-filling abstract, Doctor in Camp (47” x 38”), is a mixed media work that combines painting, drawing, and collage. The semi-regular geometry that patterns through the composition takes an interesting standpoint on the checks and balances between shape, line, and color. 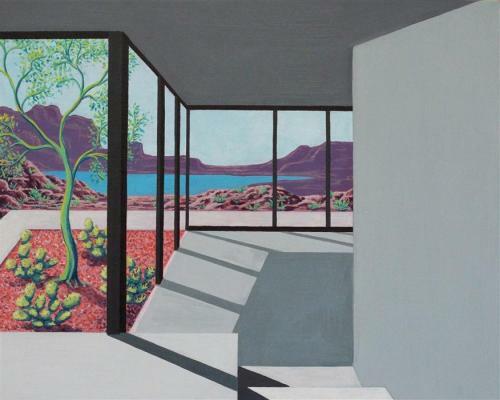 Rock Garden (Architected Landscape 17) (16” x 20”), an acrylic painting by Jessica Ecker, explores the ostensible barrier between interior and exterior. The daughter of a jail and prison designer, Jessica Ecker provides a thought provoking commentary on the limitations houses. By juxtaposing the oppositions in line, color, and natural elements, glass becomes a semi-permeable point of breakdown between the inside and the outside. I’m Too Late (35.43” x 23.62”)is uncannily relatable. 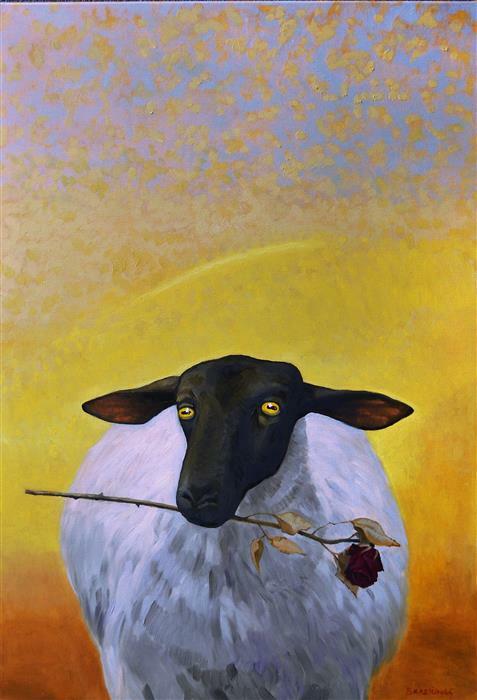 Artist Arturas Braziunas performs an act of emotional ventriloquism in his oil painting; any viewer who has ever been tardy can empathize with the sheep’s expression of regret. Literally “eye-catching,” the glowing haze of the background lights up the sheep’s eyes and unites the pictorial plane. 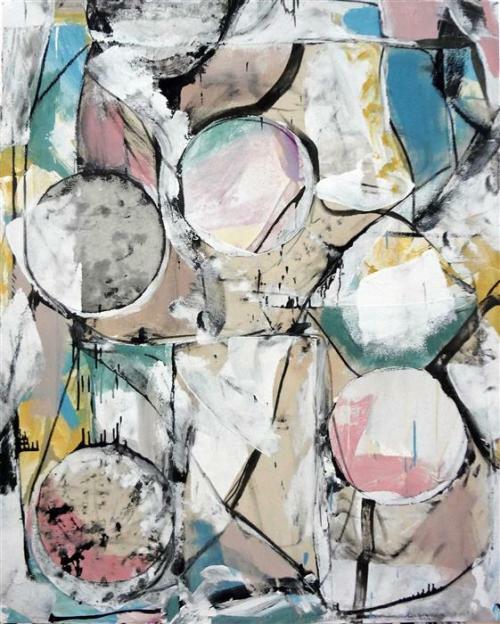 The mixed-media artwork, Hub (50” x 58”),by Scott Hunter, is bursting at the seams with visual intrigue. This puzzling, “rebus” of a composition rumbles with underlying messages that beg a closer look. Between the orange flowers displayed upside-down and the cartoon finger in a lamp’s electrical socket, Hub is rich with explorative possibilities. 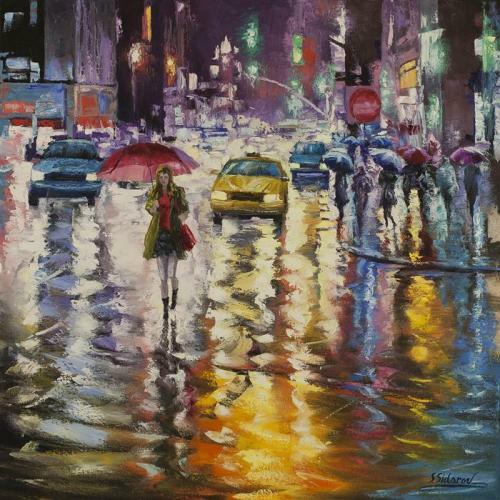 In City Lights Reflection (30”x30”), an oil painting, Stanislav Sidorov, explores the way that rain can transform an everyday scene into spectacular abstraction. The rain-slicked scene of the city becomes is style spectrum; as the eye moves out, from the figurative center the composition becomes increasingly abstract. The art in “The Showroom” brings the art world’s cutting edge conversations to the home. While Some pieces are loud and overt with their statements, others have messages that unfold slowly. The beauty of “The Showroom” is that each painting has something powerful to say. See the full Showroom on UGallery.com.